Be the talk of Kern County when you engineer your next event. 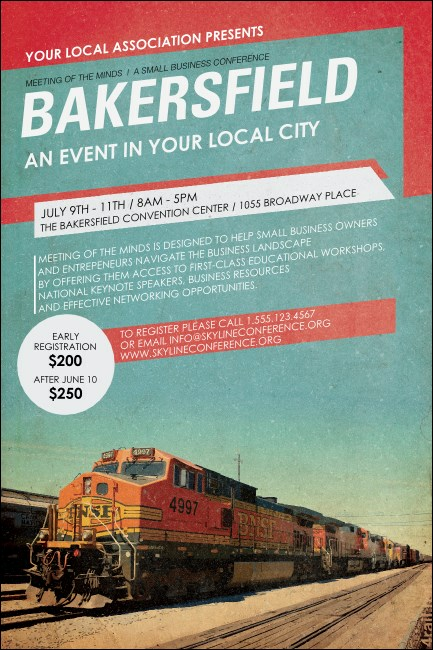 The beautiful Bakersfield Poster is printed with an image of a train in the background. Full-color printing and space for your event information can help you provide that professional look and feel that will drive your guests to the door. Bring a smile to your guests' faces with matching Event Kits from TicketPrinting.com.